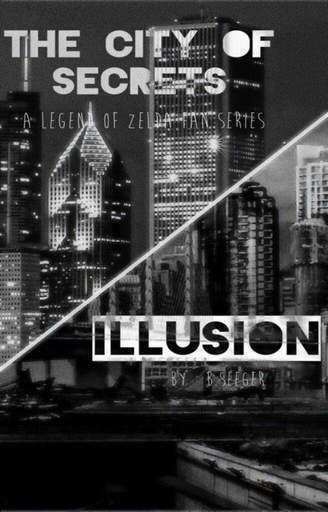 Book 1: Illusion; Liam awakens to a new world and is thrust into a quest to save his city. With his friend Nikki, he searches for the Master Sword to lift the darkness and free its citizens from its spell. Through many generations, a Hero by the name of Link has been reborn to stand up and battle any form of evil that threatened the kingdom known as Hyrule. With the help of the goddesses Din, Nayru, and Farore, and in many cases a sidekick, Link would venture to find out his enemy's scheme and learn about what he needed to do to halt them. For hundreds of years now, there has been a time of peace and the legendary hero has yet to be needed. All of Hyrule has come to a truce with the underworld and all now live together in a giant city that was once Castle town. They call this new city Hyrule, after the great land that they once lived in separately. Even the goddesses, including Hylia, have decided that they would live on Earth and live a life of their own. They have all agreed that they would conceal themselves in a human form. They believed that if they didn't know what you really were, there wouldn't be anything to fight about anymore. Everything appeared to be perfect. A major school catered to all grade levels, practically no violence except for the occasional bar fights, and an excellent economy made Hyrule look like a perfect city. However, all of that was during the daytime. At night, however, Hyrule was entirely different. Violence could be seen along the side streets. There was never a morning you wouldn't hear of murder or vandalism on the news. Even though all that passed at night, magic was used to clean up any remnant of trouble. In the middle of the city sits the greatest evil to hit Hyrule. Palmer Industries, owned by Clark Palmer, owns just about everything. From the Hospitals to Hyrule Academy, you can't go anywhere without seeing his name. He pretty much ran the city. Palmer Industries is the tallest building in the city. Purposefully built that tall, so Clark would be able to observe the whole city right from his office; From Zora Bay in the south to the Forest of Lost Souls in the north. He could take in everything. If anyone tried to defy him, he would know. Now we come to our main character of this epic tale. Liam attends and is in his 14th year at Hyrule Academy. The Academy is a place where all youngsters are required to attend and must complete 16 years. The first 12 years contain your basic classes such as Reading & Writing, Math, and Science. Years 13 through 16 have a higher Math and Science, as well as well as History & Legends and Sword Fighting. Liam isn't really the brightest, but he gets by. He has two friends Jacob and Nikki. As we all know, all schools have that one bully that pretty much everyone fears and allow them to run the place. After his normal day of classes, he headed home without delay. It was drawing close to the winter season and he looked forward to coming home to a nice tall mug of hot chocolate made from fresh Lon-Lon Ranch milk. He was so excited that he didn't even bother to hang out with his friends after school. He may be near twenty but he couldn't pass up anything sweet made by his mother. What Liam didn't realize is that he was about to come across his destiny, and his whole world was going to be turned upside down. He was just about halfway home when he heard what he could clearly tell was a scuffle, coming from an alley he passed. He kept telling himself not to worry and to keep on walking. He wasn't usually the nosey type, but something deep inside told him to look anyways. Not wanting to be seen he got as close to the wall as possible and peeked his head around the corner just enough that he wouldn't be seen. What he saw shocked him so much that he almost fell over. At first, he saw two men, one really overly buff and the other a bit scrawny fighting. Normal seeing as how there was a bar at the other end of the alley. He really thought he was seeing things when he saw them change shape. The really buff person looked like a pig and the scrawny one looked to be a skeleton. He would normally pass that off as him not getting enough sleep, but this was the first time it happened that day. He was about to creep away when the strap of his school bag broke and made a loud crash when it hit the ground. The two men stopped and looked over Liam's way and saw him. He was too busy picking up his stuff to notice the two exchanging words. He left a few papers but didn't care. He'd rather lose his homework than his life. He turned and ran as fast as he could. Both men were chasing him for quite some time. Between the fears of being killed by whatever they were and the fact that there may be a whole other world around him, he just wouldn't stop running. He eventually looked back as he crossed a bridge and noticed they had stopped chasing him. He didn't try to think why. He just kept on running. He didn't care why they stopped and he didn't want to take the chance that they would start chasing again. He just wanted to get home and feel safe once again. Deep down, he hoped that what he saw was all in his head and he was only being chased because they were drunk, but he somehow also knew that that wasn't the case. He needed to tell his mother what happened. She knows she wouldn't know anything but he had to tell someone close to him. Out of breath and ready to fall over, he entered the safety of his home. His mother came in from the kitchen. She was still making his hot chocolate. The smell kept him awake just long enough to utter a few words "You won't believe what I just saw." His mother was close enough that she caught him as he slumped over and lost consciousness. The air was warm and smelled sweet. He recognized that smell. Liam quickly opened his eyes and saw that he was in the den. He had somehow made it to the couch but the last thing he remembered, he was saying something to his mother and that was it. "Could she have carried me by herself?" He thought to himself as he got up and pulled the blankets off him. He caught another whiff of that familiar sweet aroma and finally noticed the tall mug sitting on the table. He could tell it was his mother's famous Hot Chocolate. He quickly took the mug and began to chug it, not caring how hot it was. It was barely warm. He also noticed that the fire had been going. He looked outside and noticed that the sun had gone down. He guessed that he must have been out for a few hours. That was when he remembered the two people or things that were chasing him. He called out for his mother but no answer. He thought she might be upstairs and just couldn't hear him so he put the not so Hot Chocolate down and headed upstairs. Thankfully, the den was close to the stairs. He still felt a bit weak but he felt good enough to go short distances. He got upstairs and immediately noticed ladder in the hallway. He didn't even know they had an attic. He called to his mother again and still no answer. He slowly walked up to the ladder and tried calling for her again. He knew she must be up there but he used up most of his strength walking up the stairs. He repeatedly called up when she finally popped her head down. His mother had long flowing blond hair and beautiful blue eyes. He couldn't believe that she's his mother. Her looks were flawless. "What do you want?" She pulled her head back and climbed down. "It's good to see you're awake but you should still be resting." She put the ladder up and it sat flush with the ceiling. If you didn't already know it was there, it would look like part of the ceiling. "Why don't you go into your room and lay down. I'll make you a new mug and I'll bring it up to you." Knowing she was right, he went to his room that sat right at the end of the hallway. Inside was just the right size for him. It was also quite a mess. He was always too exhausted from the walk home to clean. He had a PlayStation3 hooked up to an old 15" screen, so the picture quality wasn't very great. That sat on a wooden box he had found outside in an alley one day. His bed wasn't really a bed but a futon. He would use it as a couch when he wasn't sleeping and then pull it out when he went to bed. He also had a little mat he would sleep on top when he couldn't stand the feel of the bars underneath. He then did what he was told and pulled the blankets out and set up his bed. By the time he had finished and laid down, his mother walked in the door." "Careful, it may still be too hot to drink." She handed him the mug and sat down beside him. The weight of both on one end caused the bed to tip slightly but she didn't move. She had a look of concern on her face. He had never passed out before and the words he said right before had left her curious. She let him take his first drink before she asked him what had happened. "Well, I was on my way home when I heard fighting coming from an alley." 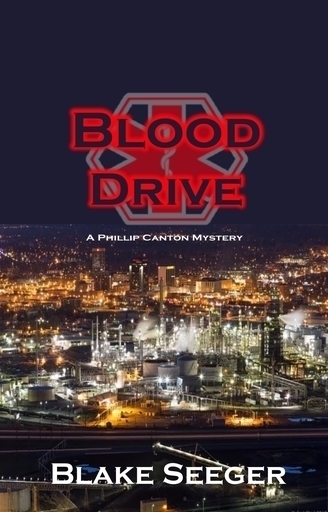 He took another sip and put it down on the armrest "Normally I would have just kept walking. But something was telling me to look and see what was going on." He shivered after remembering what he saw "I got up against a wall and leaned my head around the corner. What I saw, I'm not sure if it was real or just my imagination, but the two men that were fighting, from what I saw, turned into hideous creatures. One man was huge and really buff. He turned into a pig, with a snout and tusks. The other guy was pretty scrawny. When he changed before my eyes, he looked like just a skeleton." He pointed over to his broken bag, that his mother had most likely brought up while he was asleep "And if the strap had not snapped, I wouldn't have been chased by them." His mother just kissed his forehead, even though he was almost twenty, picked up the mug and began to head out the door "There are things that I can teach you and there are things that only you can discover." She closed the door and without her son seeing, she began to cry. She knew that this was bound to happen. She walked down the stairs, washed the dishes and put the fire out before heading to bed herself. The next morning, Liam awoke to rain pounding his window like rocks. Not only was it raining but it was cold too. Although still shaken up about yesterday, he knew he had to go to school anyways. He quickly got up and got dressed. After he dressed, he got some tape and temporarily patched up his school bag. He rushed downstairs and as he walked into the kitchen, he saw one of his friends helping themselves to a stack of waffles. "What are you doing here?" He dropped his bag on the floor and sat down in the seat opposite. With bright red hair, brown eyes and a beautiful face, it was hard to believe his friend was a tomboy. Yes. Nikki was his childhood friend. They did pretty much everything together. Just as he thought about this, she stuffed her face with a fork full of waffles. He put his hand on his face and just shook his head. He couldn't believe how she became the way she is now. "Could you pass me the syrup?" She completely ignored his question, poured on the syrup and kept on eating. She finished her plate in no time while Liam hadn't even touched his. He didn't really feel like eating not with the thought of passing through the area that he was chased from yesterday. Although the choice was stupid, he chose not to eat. Just because it was raining and he'd be walking with a friend, he still didn't feel safe. He just wanted to get the day over. Nikki got up and Liam followed. They were at the door when she finally decided to answer Liam's question. "You want to know why I stopped by." She picked up an umbrella and opened it up inside. Three of the ribs had broken somehow. "I was hoping you had an extra one." Liam didn't know what her motive was but he had a feeling she had done it on purpose. He knew that she knew he only had one. He just humored her and opened his. They walked outside and Nikki immediately huddled up close so she could stay dry. Liam decided to leave the current issue be and attempted to change the subject. "So last night I was chased by two drunks that apparently didn't look human to me." He tried to laugh it off as if it was a joke but Nikki wasn't seeing it that way. She could sense that somehow, what he was trying to say was true. Not wanting to cause him any more stress, she decided to leave the matter alone for the day. She could see his mind wandering. She could only imagine what he went through. As she thought about what could have happened, Liam stopped dead in his tracks but she kept moving. She was soaked before she got back under the umbrella. "Sorry." Liam was just staring at the other side of the bridge that was just ahead of them. "It was just on the other side there." He pointed to the dark street that sat just on the other side. "I was chased up to that point. I don't know why but they just stopped when I started across the bridge." "Oh come on" Nikki grabbed his bag and pulled him along. Liam was hesitant at first but finally gave in. He knew that there was no stopping her when she started something. He got a bad feeling in the pit of his stomach as they crossed. He looks at his friends face as they finally hit the other side. Moreover, what made him think more was the rain had stopped once they crossed. They were both glad it did, but Liam was a bit curious. Maybe it was his fear that made him as cautious as he was, but he still felt that something was strange about that rain stopping. "If you don't hurry, we'll be late to school." Nikki was far ahead of him. She was ready to get to school so she could change out of her wet clothes and into her gym outfit. Although they didn't have a traditional gym class, they still had to wear those white shirts and shorts, and sweats in the winter, when not practicing swordplay. She didn't even bother to wait. She turned back around and kept on going. This had left Liam no other choice but to follow her lead. He had to rush to catch up bet she wasn't that far ahead. They both looked around and saw the damage left by the heavy rain. The gutters and drains were flooded, the curbs looked like small rivers, and even some shop signs were flickering on and off, as well as waterlogged. They both realized how much worse this side of town was. Their side was mainly residential while this side was mostly business. They had no time to linger and think how bad things could really be. They picked up the pace and continued on their way. They had eventually come to the alley that Liam was chased from but he didn't bother saying anything else. He just sucked it up and quickened his pace. Once passed, he slowed down. He had decided not to say anything else about what happened until after classes. He thought that maybe he wouldn't be stressed out by then. Well, stressed about that anyways. To think that there made be something else out there made him cringe. They didn't even look friendly as humans. He then started to remember how his mother had told him that it was up to him to discover things on his own. He knew that she knew something. He would have to try to get an answer out of her later that day when he gets home. The more Liam thought about what happened, the more he felt his mind changing. His fear was still there, but now a sense of duty was beginning to rise. "Why would I feel this way? What duty could I possibly have?" "What did you say?" Nikki had heard Liam mumbling and turned to check on her friend. It was as if he didn't even hear her. "Hello, is anyone in there?" She shook her head and got back to walking. "I swear you can be weirder than even me sometimes." Liam finally realized what she was trying to say. "Nothing at all, I'm just thinking to myself" was all he could really come up with at that moment. Luckily, the Academy was just ahead. The place was surrounded by a large concrete wall. They had to show a pass proving that they go there. All children, teens, and young adults are required to attend. However, there are those that either flunk out or expelled. Those special people are banned from the grounds. Liam went to reach into his bag for his pass. He rummaged through while still walking. He couldn't feel it. "It couldn't have!" Liam remembered dropping papers yesterday. In his rush, he just thought it was his homework. They got to the guard station that separated the outside world from, what felt like to them, a giant jail for kids and young adults. However, he didn't have time to worry about that now. "Pass please." The guard stuck out his hand to receive the next student's paper. Nikki was the first to give him the pass. "Everything checks out, you may enter." "I'll meet you in homeroom." Nikki continued on and left Liam alone to his little issue. Inside the walls were three buildings that separated the grade levels 1 to 5, 6 to 12, and then 13 to 16. Out front leading from the gate to the three buildings was a giant garden. It was beautiful with many species of plants. Behind the three buildings was a large field. It was built for sports as well as whenever students had some free time in between classes. "Do you have your pass or not?" The guard was getting impatient. He was tapping is feet in his frustration. Most of the students may have already been through the process, but it was getting close to the bell ringing. No matter how hard he searched, he could not find it. Luckily, the guard knew him and they had another way to verify. Liam was directed towards a set of chairs. The ones that could not present proof would be escorted to the head of the Academy for extensive questioning and if they passed, they would then be given a new pass if need be and sent to their classrooms. Students lost their passes all the time but he felt a bit embarrassed because this was the first time he lost his. He was hoping that those guys he saw didn't have it. Not only did it have your name and date of birth, it also had his address and phone number. Just the thought made him sweat. As the last student got through, the guard walked over and commanded the ones that were in the chairs to get up. There weren't that many that day. He pointed towards the buildings and everyone knew exactly where to go. They lined up and walked down the large path that led through the garden. Liam was just hoping that it wouldn't take long. He couldn't afford to miss certain classes. Down the path and into the middle building, which was also for grades 6 to 12, the students walked quickly and quietly. Thankfully, the Deen's office was on the bottom floor. It would make it easier to get out and walk over to his building when he was done. Behind them, they were being watched. No one looked like they were about to do anything but Liam thought it was better to be safe than sorry. Inside the front of the building was large. With an area for students to sit and rest during lunch or between classes, a vending area for quick snacks, and a receptionist, this was obviously a major hub for students. The building for the higher-grade levels didn't have all this, but he didn't complain. It somehow made sense to him why the buildings were set up differently and had different privileges. They went down the hallway to their right and their destination was right at the end. They were instructed to stand against the wall until it was their turn. Liam was fourth in line. He was happy yet nervous at the same time. He saw the first student go in and not three minutes later walk back out. "OK, looks like this will be quick" he whispered to himself as heard the Dean call for the next student. His worry started to fade as the second student came out and the third went in. This one was taking longer than the others were. Nevertheless, he didn't care, as long as he was quick. He thought that the kid might be having trouble answering questions. He knew it happened sometimes. Like when some people get nervous and are put on the spot. He then saw the door open and the kid walking out. This kid though didn't look too happy. He wondered what had happened. However, he had no time to think about that as he heard the Dean yell for the next student to enter. He slowly walked up to the door and turned the knob and with a quick motion, he entered the office. In the middle of the city, high atop Palmer tower, a dark man stood staring out of a window as if expecting something to happen. This man, the shadow of the city, had a clear view of everything that was happening. Not much would get past this man. His gaze was piercing the horizon and taking in any information he could get about any rebellions or witnesses. Outside those walls, this man was a model citizen, a hero if you will. He had the public eating out of his hands. "Mister Palmer sir" A nervous voice cracked and interrupted the man's deep concentration. The man turned slowly and with a scowl "What did I tell you about calling me that?" He smacked the desk in anger, causing his underlining to step back in fear. "Sorry my Lord, but you have a couple of visitors" he pointed towards the door as two men entered. One was overly buff and the other was a bit scrawny. They were both trying to explain themselves but neither could be understood. "One at a time or you'll both be sent back to the shadows" he screamed as he lit a fireball in his hand and pulled his arm back as if to fire it. The two men went silent as they fell backward. "Now, one at a time" he pointed towards the scrawny man. The scrawny man got on his knees and crawled forward close to the desk. "Yes, sir; Well, you see, last night we were drunk as usual and in our blind drunk, we had a fight that took us to the alley just outside the bar we were. I know this doesn't sound important but there's more to the story." Mr. Palmer looked like he was getting impatient. "Well, there was this kid that showed up out of nowhere. He could see our true forms." He was now lowering his hand as he put out the flame. His scowl turned to a look of intrigue. "So what does this kid look like?" Palmer turned back to the window as he waited for a response. The scrawny man ran back to his friend and whispered in his ear. Then the overly buff man took a folded slip of paper out of his pocket. Hearing this, Mr. Palmer snapped his fingers and the paper switched owners. He unfolded it and looked it over carefully. He then began to laugh maniacally. "This is what I have been waiting for." He squeezed the paper and it crumpled in his grip. "Now leave me be. I have some...important business to attend to." The men did not hesitate. They turned and were out the door before you Palmer let out another laugh. "I knew this day would come. The plan shall soon be put into motion." Liam was walking out of the Deen's office. "That was not as bad as I thought. I just need to hurry and get to class." Since the office was only the first floor, it only took him seconds to walk out of the building and head over to his. He was also grateful that his classroom was only on the second floor. Each building had five floors. He finally reached his room and noticed that they had started math. "Good. At least I didn't miss much." He opened the door without even thinking about how everyone would react. They all were staring, including the teacher. This was odd considering how mature he looked. You wouldn't think a man like him would act that way. "So nice of you to join us" The teacher pointed over to his normal seat that was all the way in the back of the class. "Now why don't you take your seat so we can continue?" Liam walked past Nikki, who to his misfortune, was in the same class as him, and she let out a little giggle. She thought everyone's reaction was hilarious. Liam didn't even bother with saying anything. He just wanted to sit down and relax. He may have gotten through the questioning, but he still felt a bit embarrassed that he lost it in the first place. Moreover, every time he thinks about that, he thinks about dropping his pass in the Alley where he saw those things. He sat down and his face quickly hit the desk. He didn't care about missing one lesson. He could just copy the notes from Nikki. When he finally awoke, the bell was ringing. It was time for them to move to the next class. Nikki was waiting outside for Liam. Their whole schedule coincided with each other. Nikki was thrilled that they had the whole day together but Liam wasn't too happy. The next two classes, Science and History & Legends, were pretty much the same deal. Nikki was the note taker while Liam just sulked. With his embarrassment earlier and, the guys/things that chased him, and thinking those same guys/things picked up his lost ID, he had much to think about now. No amount of lecturing was going to help. The only thing that he knew could help him at this point was his Sword Fighting class. Not only did it take his mind off things but it was great exercise too. Sadly, that was the last class of the day. He still had to sit through History & Legends. Thankfully, lunch was before that. Not only was he getting hungry, he would also get to see another friend. Another familiar face would also help him, he thought. Seeing just one friendly face for hours got annoying. The hour of lunch they get is just enough to unwind. The bell had finally rung for lunch. Liam got out of his seat and caught up with Nikki who had begun walking without him. With most of their classes being on the second floor and the Cafeteria on the first, they would always be one of the first to get there. When they got there, though, neither of them saw Jacob. "I'm sure he'll be here soon." Liam rushed to try to get a good spot in the lunch line. "He would never pass up food." The line moved pretty quickly. He figured they must have a new way of serving everyone. From what he could tell, there were just more workers. "I guess they found good help." He smiled and looked back at Nikki "I guess this means we actually get hot food. Other students around him heard this and began laughing. They had barely sat down when they heard an annoyingly familiar voice. "Looks like the dork parade is missing a member" The self-proclaimed head of the building had a reputation of picking on just about everyone. The only one to challenge the six-foot brute was the well-known tomboy Nikki. No one dared to cross her except for the socially inept. Although she was only 5'6", Nikki rose up to take on the giant. "Do you have nothing better to do than to pick on someone new every day?" Their eyes met. "I swear Ian; I think you have more to you than what you show here." She grabbed him, turned him around and pushed him out of the way. Ian was shocked at her actions and didn't have time to react. Ian just stood there not knowing what he should do. He then got the idea to start a food fight. He wasn't going to allow a girl shorter than him to make a fool of him. He grabbed the plate from a passing student. His arm was caught just as he arched it back. "Now I know that not even you are that stupid" the much taller figure behind him let go of Ian's arm. Ian was nothing compared to this guy's 6' 6" stature. Again, he was shown up and he then proceeded to back down. The man sat down with Nikki and Liam. Being a jock, that was something that rarely happened. Your social status determined with whom you could sit with, so for them to see this jock freely eating with them was quite a site. Moreover, it was grabbing the attention of everyone in the room. "Sorry you guys have to put up with that, I know you can handle yourself but sometimes they just need to be stopped right then and there" He looked around the room at everyone's reaction. "Oh, and by the way, my name is Zeke if you didn't know." He finished off his food quickly so he could chat more. "So what are both of your names? Don't worry about the reactions. I don't really follow that 'you must sit with your own' crap." "Well I'm Nikki," she pointed over to Liam "and that's my friend Liam." She got back to eating. She didn't know what else to say. "It's sad that although we live in a time of peace, there are those that want to act immature as kids and teens, and pick on others." He giggled a little bit at this thought. "I mean, we're still teens but we act more like adults. I guess it depends on how one is raised." Liam was quiet during the whole lunch period. Nikki and Zeke talked quite a bit, though. They remained undisturbed. The bell rang and they had to separate. "Well, I hope you guys let me sit with you tomorrow. And I hope to get to know you more Liam." With that, they went their separate ways for the day. "I wonder what could have happened to Jacob that made him miss lunch." Now that Zeke had walked off, Liam didn't have that awkward feeling anymore. "Well if we don't see him today I'll..." right then they saw Zeke coming up a set of stairs. From what Liam could tell, he didn't look too happy. He wanted to go cheer him up and ask how he was doing but Nikki had stopped him. Liam looked at her and the look she gave was enough. He knew what she was trying to convey. They both just hoped that he would confide in them soon. Their next class, History & Legends, was a two-part course. The first half consisted of the history of Hyrule, how it formed into on large city and the treaty that was made after Ganon's defeat. The second part was all about the legends passed down through the ages. Liam may not have been that good in his other classes, but this was a class he actually excelled. They got in the classroom and waited for the teacher. "OK class, I know that you already know that today we will be learning a legend that has been passed down through each generation of the Royal family." The teacher wrote three names on the board, Princess, Hero, and Demon Lord. "Now class, before I begin, you must know that this legend, although true, does not mean that it will necessarily come to pass again or in your lifetime. It is a pillar of hope for when a dark time arises." He pulled out some small books and began to pass them out. "To start off, the first Goddess to grace our wonderful land was Hylia. Back then, there was no Hyrule. This world was a land of chaos. During a great war, Hylia decided to save the humans from the great evil we presently know as Ganon. She sent them flying high up in the air in the hopes that one day they would be able to return when the land was at peace. Then with her mighty powers, she sealed away the demon lord. This, in turn, sent his minions into a state of hibernation. But that was soon to end." After passing out the books, he returned to his desk and finished the first part of his lesson. "You see, the land below became a vile place crawling with monsters when the seal Hylia had placed began to weaken. With all this, the humans continued to live in peace in the sky unaware of the troubles below." He got up a bit and leaned forward for a little drama. "One day, that peace had ended when Goddess Hylia's incarnation was called upon. She was swept eventually away by an evil wind and she fell to the lands below." He stood up and looked around the room to look for whom he was going to call on for his first question. "Can anyone tell me what the name of her incarnation was?" Not that many students raised their hands. Not even the one that he was about to call on. "How about you" he pointed to a shy looking girl that sat close to the back. The girl looked up and began flipping through her book as if she would find the answer there. She thought really hard and eventually took a guess "Was it Zelda?" She watched as the teacher just stood there. She then saw him turn to write on the board. She let out a sigh of relief. "Very good," He wrote Zelda's name under Hylia's name. "Now, we all know that the Hero was Link. His name has appeared many times in our lessons, but what I did not teach you then, was that every Link was in a sense the same. After overcoming many obstacles and enemies in his search for his friend Zelda, and destroying what used to be Demise, the great Goddess decided to preserve his courageous soul and call upon his aid whenever needed." He then wrote Link underneath the Hero's category. "This tells us that they had a very special connection. What that really was, no one really knows." He turned to a page in the book and directed the others to open theirs. "Now if you turn to page 33, you'll see Zelda with Link standing on a statue as the land known as Skyloft descends. What can you get from this image alone?" A boy near the front stated his thoughts without raising his hands "From what I can tell, it was the time the land started anew and just about the time Hyrule was about to be formed." The teacher looked shocked. He never expected someone to make such an accurate assumption. "That is correct." All the other students turned to stare. They couldn't believe he was right either. "Well, then I can get right to the explanation of the three new Goddesses that were hand selected by Hylia herself to help reshape the land and make it livable once more." He sat back down but this time on the front of his desk. "So from this, we can gather that the three Goddesses we mainly worship today get more praise than they should. The praise should be shared and include Hylia and Link." He began to laugh and wave his hand "That last bit was just an opinion so don't mind me. Now back to the lesson. The Goddesses we know as Din, Nayru and Farore were given another task besides creating Hyrule. And that was to aid Link in his quest when needed." He walked up and down the aisles of desks now. "So from here we will be learning more of Links role and more about why he was chosen." The bell rang and everyone started rushing towards the door. "Now I want you to read the first three chapters. Next class, we will be covering a little bit more and then there will be a quick multiple choice test." However, it was pointless. They were all out the door before he could finish. The class may have gone by quick but Liam still had to deal with Sword Fighting. He only really loved it when he was able to practice. Ulla (you-la) was one of the toughest teachers in the academy. She was only in her early thirties but she was surprisingly skilled. She sure earned her job. Liam and Nikki quickly headed to the changing rooms and got ready for the toughest part of their day. Liam was OK with that, as he knew that it was the last class of the day. After they went into their separate changing rooms and got ready, they met up and headed outside where their class usually meets, which was in the gardens just inside the front gate. There was a large enough patch of open grass for people to relax. Ulla had other plans. She figured a comforting scene mixed with a harsh tone would help them learn. Nikki and Liam had been the first student to get there. Ulla was standing in the middle of the clearing with the wooden swords ready to go. With the way she dressed and her flowing brown hair put up in a ponytail, she looked a whole lot younger than she really was. "What lesson do you think she'll torture us with today?" Nikki attempted to whisper to Liam but the instructor clearly heard them. As the others started to arrive, Ulla grabbed two swords and tossed one over to Nikki. "You shall be my test dummy if you think you're so funny." Ulla urged Nikki to stand beside her. Liam just laughed at the whole ordeal. Although the students that were just arriving had no clue as to what was going on, they were laughing nonetheless. "Now that there are enough here, we can start the lesson." Ulla took a few steps back and stood in a defensive position. "Now today we will be learning how to parry an attack." She urged Nikki to attack her but Nikki had hesitated. "Now don't hold back." The instructor kept urging until Nikki finally made her move. She raised the sword high ad swung straight down. Ulla quickly placed the blade straight out in front horizontally and braced it with her other hand. When the blades clashed, Nikki was pushed back while Ulla was still where she stood. "Now this is the point where you attack. Wait until they are pushed off balance and waste no time in making your move." She moved in to make a false attack and stopped short of Nikki's side. "Now grab a partner and practice the block. Anyone that attacks will be sent to the Dean and banned from physical practice. You will be forced to do silly book reports." Everyone did as she instructed, and got a partner. "Oh, and I want you to practice with me, Liam." She pointed over to him with a serious look on her face. Everyone grabbed a sword, scattered and then proceeded to do what they were instructed. Liam took his place not knowing why she wanted to spar with him. Nevertheless, he mimicked what she did in the demo and she proceeded to attack. He didn't brace himself hard enough and he was the one that ended up falling back. "Why did you choose me?" Liam got up, dusted himself off and waited for his teacher to answer. "I just want to test you specifically." She attacked Liam once again but this time, she was sent back. "Very good but this is just a personal test. It has no effect on your grade so do not worry." They all practiced that same move until the end of class. A large bell rang that signaled not only the end of the class but the end of school as well. "Next class we will continue learning the parry and the different techniques you can use." Every student walked back to changing rooms to change and head home. Liam and Nikki waited just outside the wall to see if Jacob would walk out but the whole school had eventually been emptied and the crowd had thinned. They shook their heads and headed towards home. They had spent the whole time walking thinking about what could have happened. They were so caught up that Liam hadn't realized the alley he was chased from when they passed it. What was wet when they headed to school was now bone dry. They both remained silent until they reached the bridge. "So do you feel like talking more about what happened to you?" Nikki gave a pleading smile in the hopes he would tell her. "Sorry. I'll tell you tomorrow." Liam turned his head and gave his friend a reassuring smile. The rest of their walk home went uninterrupted. The sky was clear and any remnants of the rain that morning had all vanished. Everything was as dry as a bone. The day may have been warm enough to dry everything out, but now that the day was over and the sun was setting, the harsh reminder of winter was setting in. They quickened their pace to get home, which really didn't take long at all. By the time they got to Liam's house, the streetlights had come on and the temperature got low enough that they could see their breath. Liam went to turn the knob on his door but it wouldn't budge. "It's unusual for it to be locked around this time." He grabbed his keys and unlocked the door. All the lights were off except the front entryway. "Mom, are you home?" Both Liam and Nikki entered. They threw their bags to the floor. Liam was calling out multiple times as he turned on lights and searched the house. She wasn't in her room or in the attic. His third or fourth pass through the kitchen revealed a note attached to the fridge. What he read not only confused him but also made him worry. Peace is built from the blood of the dead. 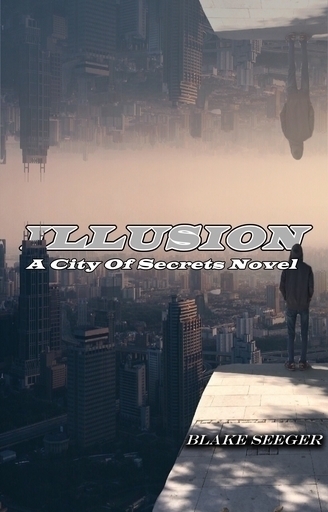 A City wrapped in an Illusion is about to lose this peace. For 1,500 years Argus City; built from the war of the Kingdom of Argoria, has lived and prospered. Each citizen has hidden their true form per the treaty written those many years prior. Now, the same darkness from the past threatens to break this peace and throw the City into chaos. To defeat this foe, the truth of the past must be uncovered and a young hero must discover his destiny. Phil never wanted to solve murders, let alone work as a detective. But after excelling at his desk duties while helping with smaller cases, he unknowingly gets promoted in his local precinct. Though, officially not his first case, it is his first field case. He is about to learn the hard way that seeing what happens on the other side of the desk is not easy as looking at pictures. 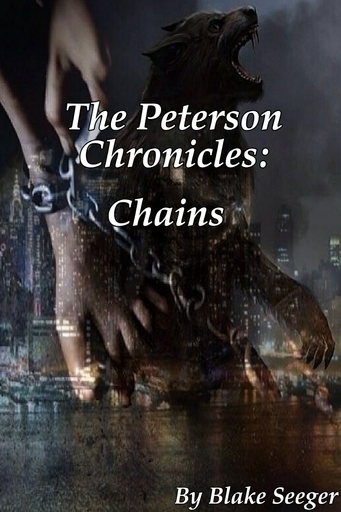 (Completed) Book 1: Chains; Based off of A Wolf's Tale. Jake adjust to his new life as a werewolf and learns to live with a new family.